Businesses in Lichfield are being invited to get involved with BNI, a successful international business networking organisation whose Staffordshire members are on course to share £9 million of business in 2018. BNI Staffordshire has over 180 members in eight groups across the county – but there hasn’t been a BNI group in Lichfield for many years. The organisation has joined forces with the historic Kings Head, Bird Street, thought to be the city’s oldest pub and home to the foundation of the British Army’s Staffordshire Regiment. 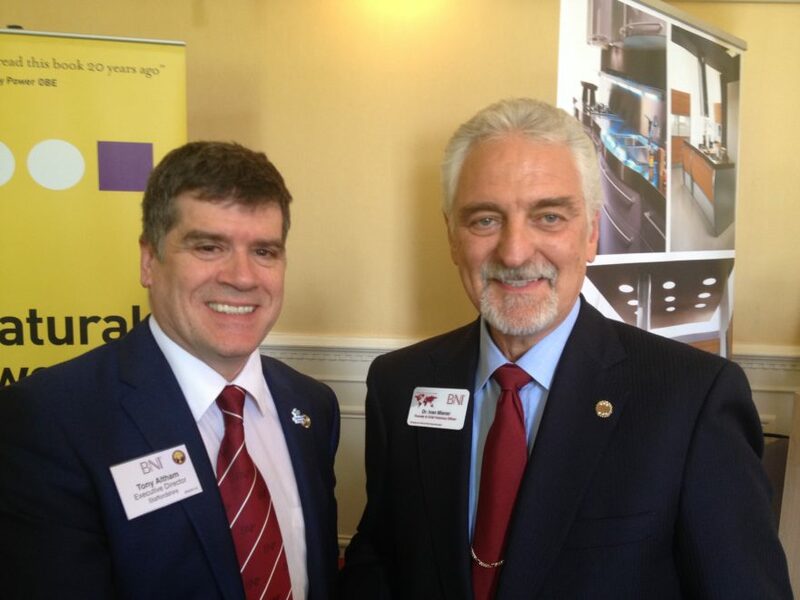 Tony Altham, Executive Director of BNI Staffordshire, said: “BNI is a proven way of growing business and has over 241,000 members in 70 countries. We are building a strong network in Staffordshire and the members of our existing chapters have surpassed all previous records so far in 2018. Several of our chapters are on course to pass more than £1.6m each, in referrals, in the calendar year, giving a total boost of around £9 million to the Staffordshire economy. All businesses are invited to attend an open meeting at the Kings Head on Tuesday 25th September, starting at 7.30am. There is a fee of £10.00 to cover breakfast costs. The Kings Head is said to date back to 1408 and holds a special place in military history as the place where, in 1705, Colonel Luke Lillingston raised a “regiment of foot”. This evolved into the Staffordshire Regiment in 1783. The pub is still involved with the British Army, hosting the Lichfield Armed Forces Breakfast Club on the last Saturday of each month.